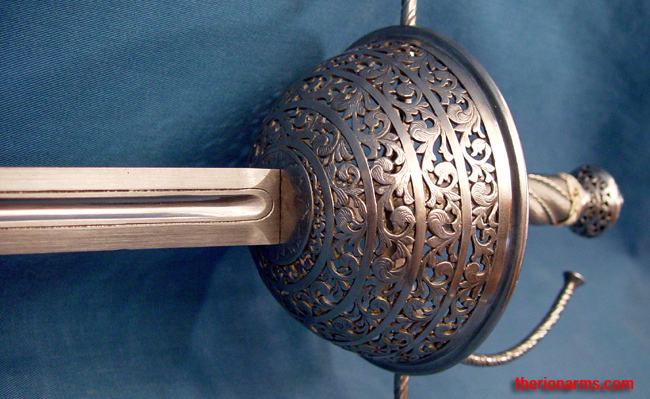 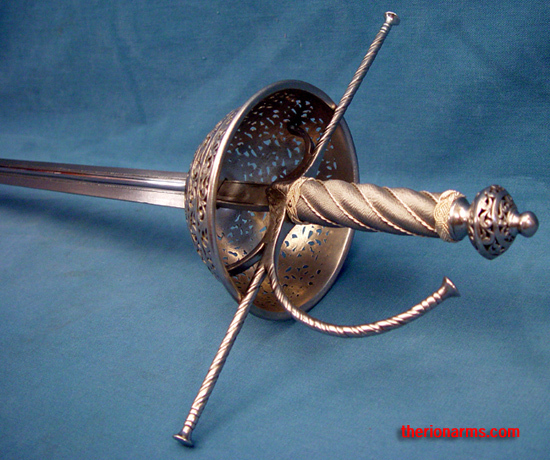 total grip and pommel: 7 1/2"
A classic early 1600's Spanish cup-hilt rapier ('Taza' is Spanish for 'cup'). 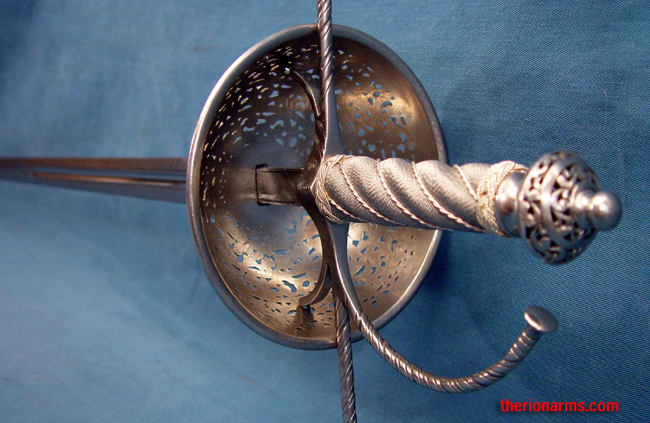 Quite long, quite light, quite fast. 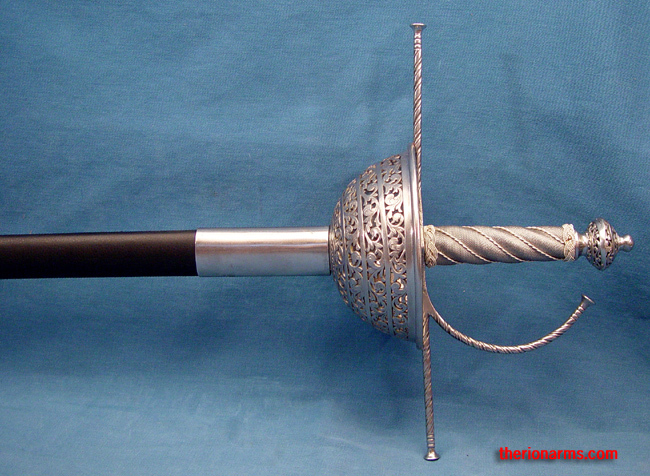 The blade is over a yard long - Elizabeth's London city guards would have had conniptions if you carried a rapier this long into the city (Elizabeth restricted rapiers to one yard, and ruff collars to one foot - no appreciation of style!). 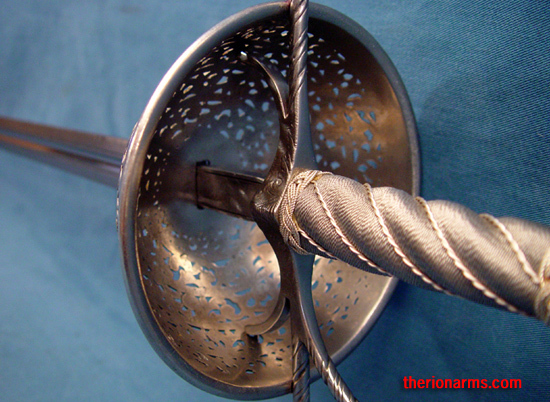 The first 14" of the blade are blunt, to help provide a strong parry, and the outer 24" are sharp, ending in a nasty point. 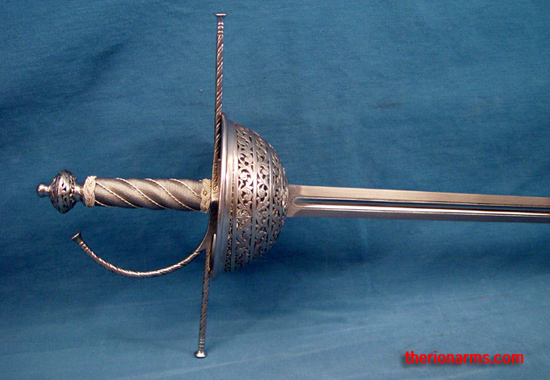 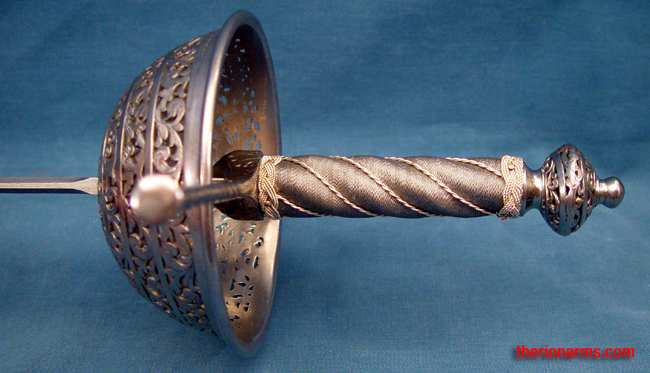 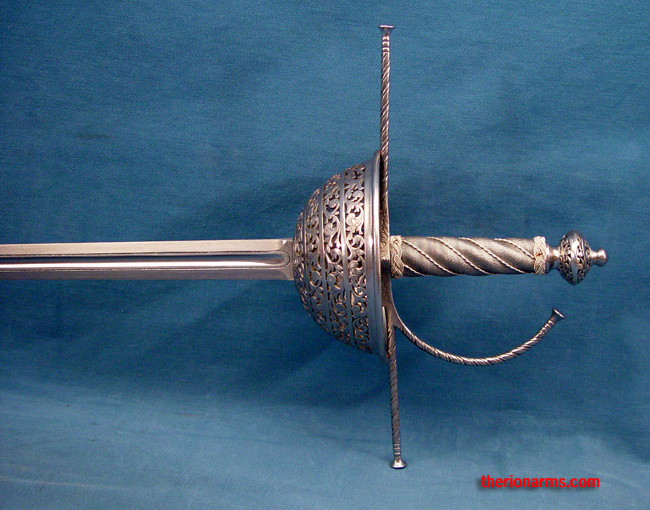 Pierced-work cup and pommel, wire wrapped grip, double finger loops, and extraordinarily long quillons. 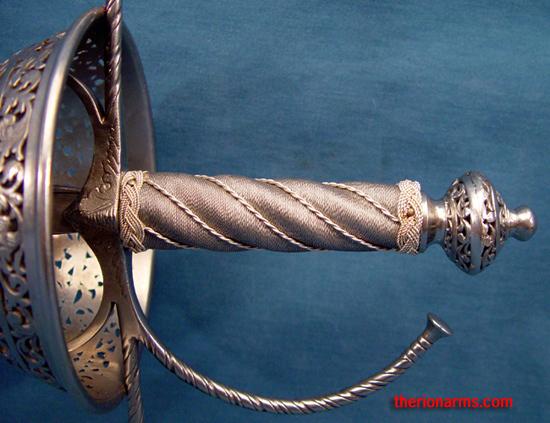 Stiff wood and leather scabbard with steel throat and chape included.